Welcome Emma Turner as our Guard Director! Emma Turner is a native of Dallas, Georgia where she was born and raised. She attended East Paulding High School where she marched in the Raider Brigade Band from 2011-2015 in both the fall marching program and the winter season. She graduated with honors and is currently attending Georgia State University pursuing a major in Neuroscience and a concentrated Master’s in Epidemiology/Biostatistics. Emma has been involved in DCI, marching with the sixty year old corps, Phantom Regiment (16-18). She has also been a part of the SAPA and WGI circuits performing with Georgia State (16) and Paramount (17-18). She has helped technician various other groups in the Atlanta area in the past three years. Emma is thrilled to share her passion and teaching as the director of the Carrollton High School Color Guard. Emma served our Trojan Band as a color guard technician last fall and during our Winter Guard season. She has done a fantastic job creating relationships with our guard students and generating enthusiasm about the fall season! We are excited to welcome her as the director of our color guard. If you get a minute, please reach out and share your support! With it being such a busy time, we thought now would be a great time to also send out a few reminders. Color Guard Auditions: Today and Thursday at Carrollton Junior High School from 4:00pm – 8:00pm. Fall Percussion Auditions: all week long in the band room from 4:00pm – 6:30pm. Have you paid?? Deadline is THIS Friday! Sign up to bring dessert for the band banquet!! Posted in CHS Band and tagged #trojangold, #trojansallin, Band Banquet, Band BBQ, Carrollton High School, Carrollton High School Band, Carrollton Trojan Band, CHS Band Program, CHS Color Guard, CHS Winter Guard, Gold Standard on April 24, 2018 by CHS Trojan Band. The year will be over in just a few short weeks, but these last few weeks are packed! We have: A General Booster Meeting, and 8th Grade Parent Orientation Meeting, the annual Band BBQ, Band Dinner & Awards Night, Band Prom, a Spring Concert, and a Coke fundraiser! WOW!! Band BBQ packets were distributed to students on Tuesday & Wednesday, April 10th & 11th. Have you seen them? If you have not, please ask your student. If they have not picked up their packet, please ask them to see Ms. Dothard first thing Monday morning! Many local businesses are happy to support our band program during BBQ time, and they look for our students, so don’t be afraid to ask! Remember, for groups of 10 or more, we are happy to offer local delivery, and it’s a great selling point! So sell, sell, SELL and keep selling! If you need more tickets, please see Ms. Dothard. Thursday, April 26th from 4:00 pm until 6:00pm in the Band Room. Packets may also be turned in during 8th grade parent orientation which begins at 6:30pm in the band room. All money, checks, and any unsold tickets should be returned at that time. Please also provide a list of any promised delivery groups, delivery details, and contact information for the day of delivery! Please plan to join us to help on Thursday, May 3rd, BBQ Day! It’s such a fun day! Charms sign-ups will be made available very soon! Please make plans for you and your family to attend this fun evening where we celebrate the success of our kids! Also, sign up to bring dessert to share! The Band Prom is a night where our band students get dressed up and dance! Students decorate the band room and bring snacks to share. Students will decide on the band prom theme this week. It is a fun night for our band students! Please encourage your student to participate! Posted in CHS Band and tagged #trojangold, #trojansallin, Band BBQ, Band Prom, Carrollton High School, Carrollton High School Band, Carrollton Trojan Band, Carrollton Trojan Band Boosters, CHS Band Program, CHS Color Guard, CHS Trojan Band, Gold Standard, Trojan Band Boosters on April 15, 2018 by CHS Trojan Band. This Thursday is Flag Day!? 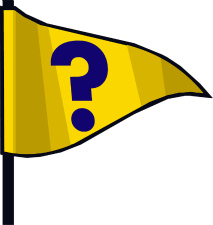 While the rest of the United States celebrated the official holiday of Flag Day this past June, the CHS Trojan Band will be having an important Flag Work Day this coming Thursday, August 27, 2015 @ 6:00pm, upstairs in the band room to continue working on this year’s awesome color guard flags. And before a majority tunes us out because we mentioned color guard and flags, this work day is open to all band parents and supporters. Mr. Carr has issued a sincere plea for everyone to get involved so we can knock this project out and support our color guard in full force. You do not have to know how to sew to participate. We just need willing people to lend a hand with various tasks like folding, holding, tracing, cutting, etc. So make plans to join us and lets pack the place and make some flags! Posted in CHS Band and tagged Carrollton High School Band, CHS Band Program, CHS Color Guard, Defying Gravity, Gold Standard on August 25, 2015 by CHS Trojan Band. 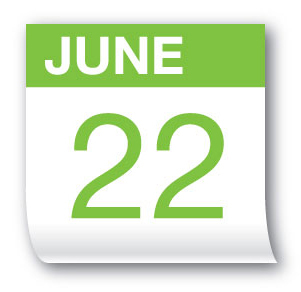 The second installment of band & color guard fees are due Monday (June 22, 2015). Band & color guard fees are paid directly to Carrollton High School and during the summer can be paid in person at the CHS Vocational Office via cash or money order. Carrollton High School no longer accepts personal checks. More information about fees can also be found on our Fees/Dues page. Posted in CHS Band and tagged Carrollton High School, Carrollton High School Band, CHS Color Guard, CHS Trojan Band on June 20, 2015 by CHS Trojan Band.